Get custom bobbleheads for your whole bowling team! Customize the uniform to look like yours and let them be lucky charms at your next tournament. 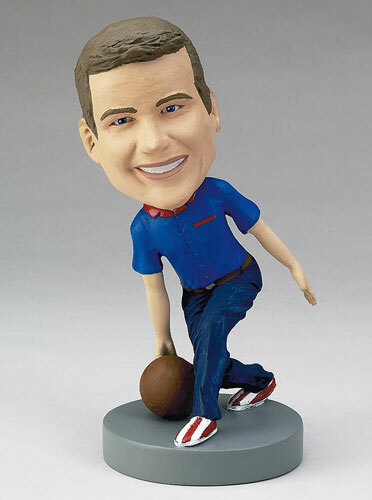 These personalized bowler bobbleheads can also be used as trophies for bowling tournaments, with their bases engraved.